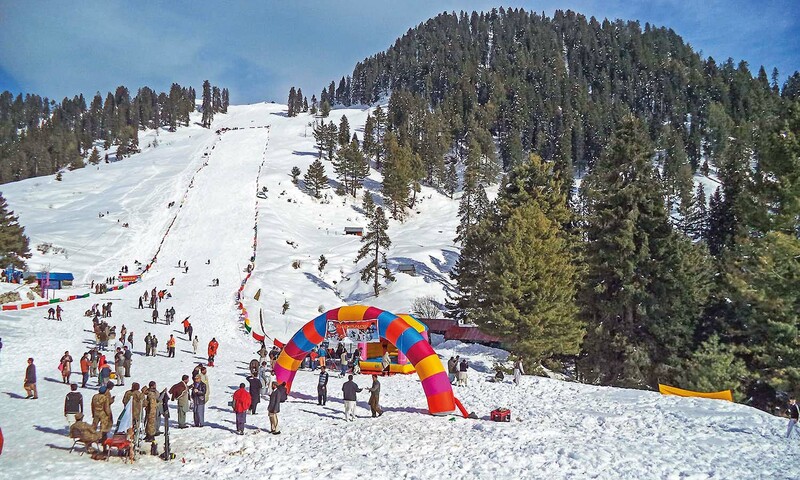 With the hill station having successfully hosted its first international skiing tournament this February and wowing foreign visitors with the majestic beauty of its slope, Malam Jabba is ready to receive its share of local tourists. Malam Jabba is located at a distance of 261 km from Islamabad, roughly 7 hours by car. The ski resort can be accessed through the M-1 Motorway, via Mardan and Saidu Sharif. The PTDC resort provides a comfortable stay and plenty of activities, with its chairlifts, skating rink and skiing platforms. The PTDC resort provides a comfortable stay and plenty of activities, with its chairlifts, skating rink and skiing platforms. Located atop the might Hindu Kush range, Malam Jabba is Pakistan’s only ski resort with stunning slopes surrounded by lush green forest. The area is also home to two Buddhist stupas and six monasteries, remnants of the Swat Valley’s past as the seat of the Gandhara civilization. There are trekking trails and camping sites for those looking for outdo or adventure.